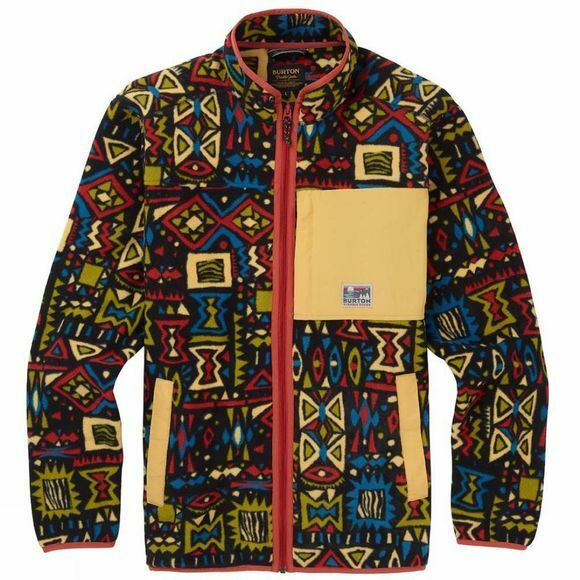 A toasty fleece layer with the best of both worlds, the men's Burton Hearth Full-Zip Fleece has retro styling with modern warmth. This fleece top has zippered chest and hand pockets where you can hide your plunder. This fleece jacket has elastane binding at the collar, cuffs, and hem. The print version is made of polyester fleece, and the solid versions are made of Polartec 200 fleece.